Are you Vitamin D deficient? If you have any of the symptons including weak Immune system, chronic aches and pains, difficulty sleeping, low energy, bothered by frequent or lingering colds or sickness or concerned about weak or brittle bones you might be vitamin D deficient. Vitamin D is naturally produced from exposure from the sun, but as we work harder and longer hours stuck in an office more and more of us just don't get enough time in the sun to produce Vitamin D in our bodies. 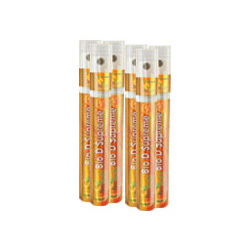 You can take Vitamin D tablets however your body only absorbs 10-20% versus Bio D Supreme oral spray which is around 90%. With your help we can reach more people and let them know about Bio D Supreme whether this product works or not. I used Bio D Supreme as directed and broke out in a severe rash.